Depending on who you ask Glucose Disposal Agents are either the next big thing in fitness or a complete waste of time. The idea is to control Insulin, a hormone in the body that can transport glucose around the body. The thing about insulin is that while it can be very useful at transporting glycogen to muscles, it is also responsible for transporting glucose to adipose tissue. The premise behind Glucose Disposal Agent supplements is to help prevent insulin from sending glucose to be stored as fat and to instead send it to muscles to be used for muscle protein synthesis (insulin transports amino acids and glycogen). The products contain ingredients that can do this, they can also suppress appetite, increase metabolism, and lower cholesterol (while lowering triglycerides). Just like any supplement, NOTHING WORKS UNLESS YOU DO!. Which means is that these supplements do have an effect on body composition and on insulin, but there won’t be any magical transformation if you take them alone without doing any exercise or cleaning up your diet. But if you go all out with diet and exercise then adding a GDA to your routine could elevate your results to another level. There are many glucose disposal agents on the market, but not all are created equal. In this article, we will look at the best GDA Supplements that are currently on the market. Where it comes to Choosing the best Glucose Disposal Agent, for the most part, the Label doesn’t lie. There are several high quality, research-backed ingredients out there, that when put in the right quantities, will make carbs great again. 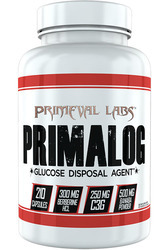 Primeval Labs Primalog is a true GDA beast. Just take a look at the fully loaded label, packing all the who’s who of insulin controlling ingredients and extracts and in hefty dosages. It is clear by looking at the label, that Primeval Labs didn’t save any expense in trying to create the best GDA money can buy. 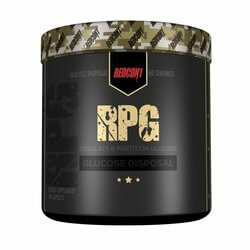 You can find the full review for the REDCON1 RPG here and it at the top of our list for all the right reasons. 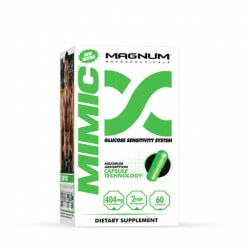 Containing a lot of ingredients that are effective at regulating insulin, and send glycogen to the muscles instead of adipose tissue and in generous quantities. It also contains Berberine which can lower blood glucose levels. Banaba leaf extract is included as it can inhibit carbohydrate digestion, working as a form of carb blocker. All in all another top quality product from the brand that seems to keep on innovating at breathtaking speed. This product was designed for people that are bulking who are looking to maximally fuel their muscles with carbohydrates. It contains r-ALA which reduces blood sugar, agmatine sulphate that improves glucose uptake to your muscles, Berberine and Banaba, and trigonella seed isolate which improves glucose metabolism. A well designed supplement that offers an economical alternative to our first 2 choices. 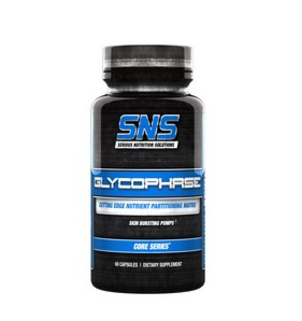 One of the things we really liked about Glycophase is that SNS kept this nutrient partitioning supplement at a very competitive price compared to the rest of the products on this list. bringing in a matrix which includes a lot of the same ingredients you could find above including Berberine, Fenugreek and Banaba Extract among others, the cost per serving is at least 40% lower than the alternatives. 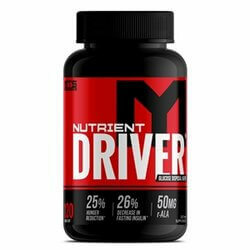 A great supplement to round off the list, it contains chromium like MTS Nutrient Driver, Berberine like the others, and r-ALA. It also contains an ingredient known as Jiaogulan which comes from Asia. It has been shown to improve insulin sensitivity, reduce blood glucose levels, and prevent increases in glucose. A unique ingredient which no other supplement seems to contain. Glucose Disposal Agents can do a lot of good for your body composition and help your performance in the gym. 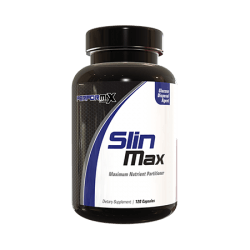 Allowing you to divert nutrients to your muscles rather than your fat stores. But taken on their own they will not make much of a difference. You need to combine them with a calorie controlled diet and a highly intensive training program.